Trombonist Wycliffe Gordon & Friends’ Jazz Port Townsend concert airs this Sunday, August 3 on Jazz Northwest at 2 PM Pacific on 88.5 KPLU. The popular and critically acclaimed brass player (he plays several brass instruments) was recently named top trombonist by the DownBeat Critics Poll for the third year in a row and top trombonist by the Jazz Journalists Association. He first came to wide attention as a member of the Wynton Marsalis ensemble but has since branched out in several directions including new styles and various brass instruments. He is a master of the plunger mute trombone (seen above). 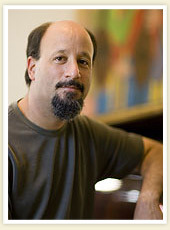 He has led over two dozen record dates and is on the faculty of Manhattan School of Music. Joining Wycliffe Gordon on stage for this concert in the 1200 seat McCurdy Pavillion at Fort Worden are Jeff Clayton, alto sax, Terrell Stafford, trumpet, Benny Green, piano, John Clayton, bass, and Jeff Hamilton on drums. Every member of this group is also a band leader in his own right, so it is truly an all-star group. The concert is mostly original blues-based music by Wycliffe Gordon, and all totally soulful and in the pocket for this group of friends. Thanks to the musicians, John Clayton, Gregg Miller and the staff at Centrum, and special thanks to Rick Chin and Neville Pearsall who provided house sound and assisted with recording this concert. Jazz Northwest is recorded and produced by Jim Wilke exclusively for 88.5 KPLU. The program airs Sundays at 2 PM Pacific on 88.5, KPLU and streams at kplu.org. The program is also available as a streaming podcast at kplu.org following the broadcast. JAZZ ALLEY: Monty Alexander and the Harlem-Kingston Express 70th Birthday Celebration! Pianist Bill Anschell is a Seattle native, though he’s lived and toured around the US and internationally. Returning to Seattle to live, he quickly established himself as one of the key players through his own trio, accompanying singers and his regular appearance with Floyd Standifer at The New Orleans during the trumpet player’s last years. On this show, Bill Anschell fronts his “Standards Trio” with Jeff Johnson on bass and D’Vonne Lewis at the drums. The trio plays fresh, free interpretations of songs from the Great American Songbook. This performance was recorded on july 19 at Tula’s in Seattle where Bill Anschell often plays as sideman and with his own groups. Bill Anschell is also a humorist. His monthly “Mr.P.C.’s Guide to Jazz Etiquette and Bandstand Decorum” offers tongue-in-cheek advice to jazz musicians and audiences can be found on Facebook. Next week’s Jazz Northwest will feature the first in a series of concerts by internationally renown artists recorded at this Summer’s Jazz Port Townsend. JAZZ ALLEY: Albert Lee 70th Birthday Celebration! Sara Gazarek, an emotive, crisply swinging vocalist who graduated from Roosevelt High School in 2000, is in town next week for her first full-length engagement at Jazz Alley. She is thrilled about playing Seattle’s most prestigious jazz house, but a performance in May at the Blue Note, in New York, had an even deeper resonance. Highlights from the final concert of the season by the Seattle Repertory Jazz Orchestra will air on Jazz Northwest this Sunday at 2 on 88.5, KPLU. The concert includes music composed by Stan Kenton and Gerry Mulligan and played and recorded by both bands. Baritone saxophonist Bill Ramsay is featured prominently in Gerry Mulligan’s music, and pianist Randy Halberstadt takes on the role of Stan Kenton in the Kenton theme Artistry in Rhythm. 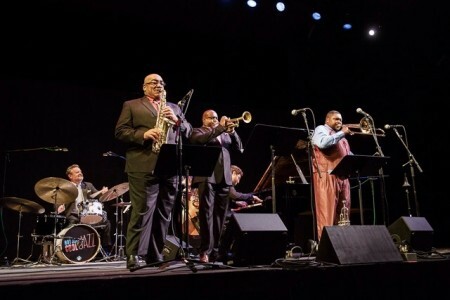 The Seattle Repertory Jazz Orchestra is co-directed by Clarence Acox and Michael Brockman and the concert was recorded last month at the Kirkland Performance Center. The SRJO will begin its 20th anniversary season on October 4-5 with a Basie Bash. Jazz Northwest is recorded and produced by Jim Wilke exclusively for 88.5 KPLU. The program airs Sundays at 2 PM Pacific and is also available as a podcast at kplu.org.